We all, particularly the Republicans who stuck themselves with him, look for a change in behavior, think that somehow he will rise at last to the occasion of his office. But no, that is not in the cards, he is who he is, and if his ability to do such damage were not so fearsome we might feel compassion toward him. But I can’t. Although I have read Matthew and the Sermon on the Mount and find it to be in my view what Christianity is all about, I am not good enough to be able to extend the right hand of forgiveness to this man. The damage he has done and apparently he intends to do to his fellow Americans is too great. Goodnight and, borrowing from the great Edward R Murrow, Good Luck! In these dark times, hearing your voice in my ear again is a bright shining light. I hope you’ll keep it up. We all desperately need your historical insight and keen observations now more than ever. Oh Jackie, you are too easily pleased but I must confess I liked the “pat on the back” from you and think of the great times our gang had at ABC often. 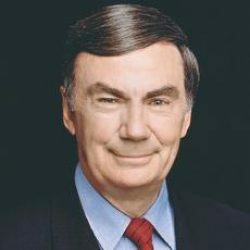 Keep writing, Sam Donaldson. We miss your voice. I don’t fancy that anyone needs my voice (if they ever did) but writing now is worth to me if it gets a pat on the back from you. Thanks, Shelley, I think of our times together often! This is the right blog for anyone who wants to search out out about this topic. You understand a lot its virtually arduous to argue with you (not that I actually would need…HaHa). You undoubtedly put a new spin on a topic thats been written about for years. Great stuff, just great! I simply want to say I’m very new to blogs and seriously savored your web-site. Likely I’m want to bookmark your blog . You surely come with superb writings. Thanks for revealing your blog. I just want to tell you that I’m very new to blogging and site-building and certainly loved you’re web-site. Almost certainly I’m planning to bookmark your blog post . You definitely come with really good posts. Bless you for revealing your blog site.